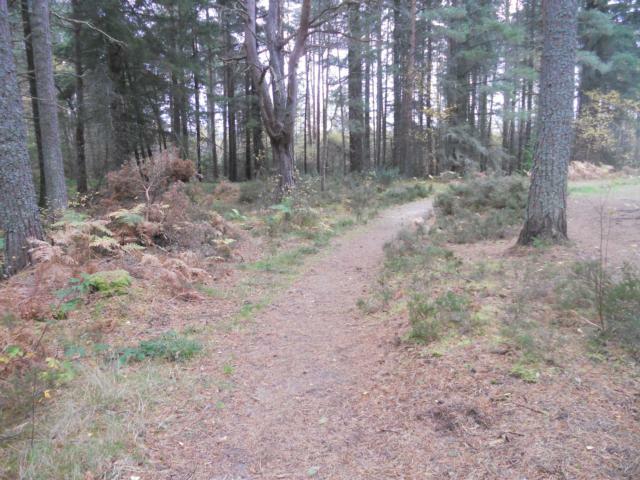 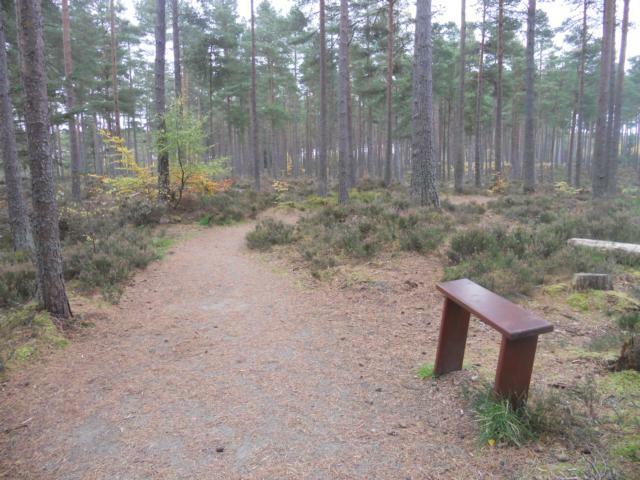 The forest walks in Monaughty pass through some magnificent Douglas fir and Scots pine and provide spectacular views out to the Moray Firth. 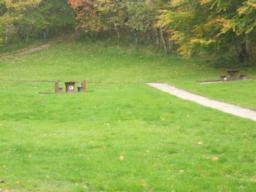 Pluscarden Abbey is nearby and is also worth a visit. 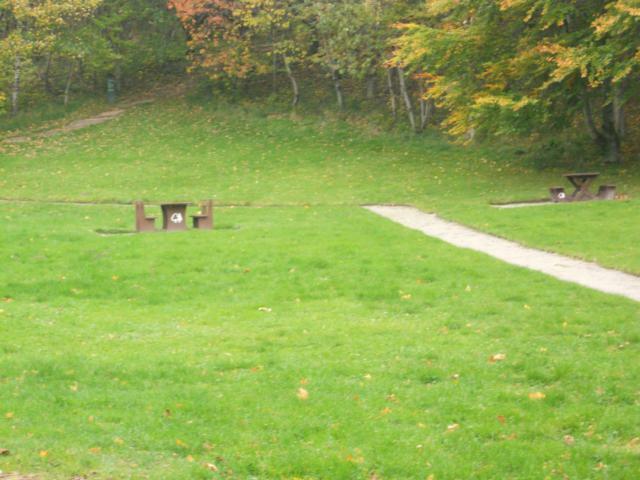 It is the only medieval monastry in Britain inhabited by a working order of Benedictine monks. The all-ability trail contains a few gradients that some visitors may find limiting. 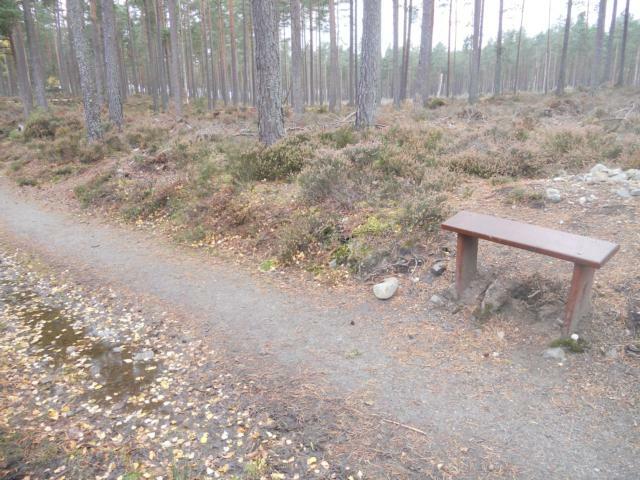 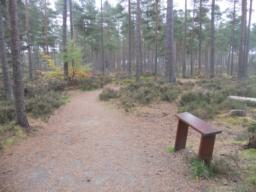 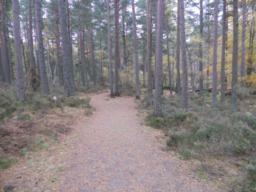 However, the trail has lots of seating and contains a lovely spot down by the Black Burn Bridge. 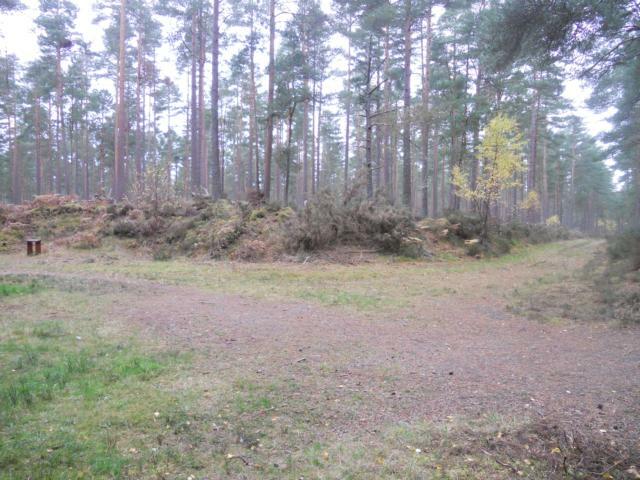 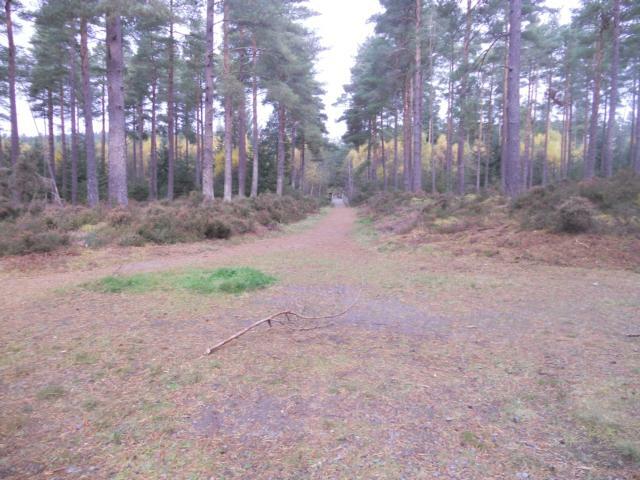 The Monaughty Forest Car Park did not contain bays that were designated or delineated for visitors with disabilities. 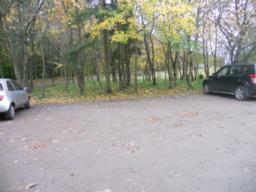 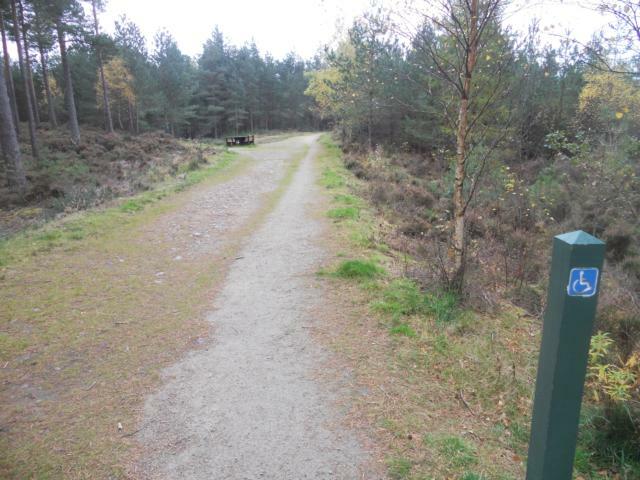 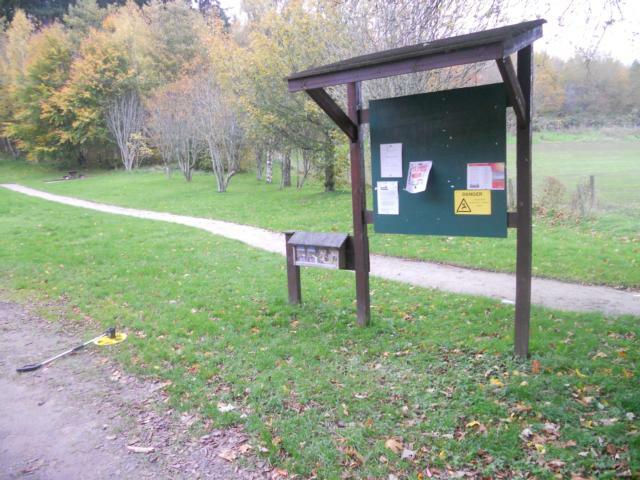 However, the car park itself provided a good level of access, allowing easy transfer from vehicles to the adjacent picnic area and trail-head. 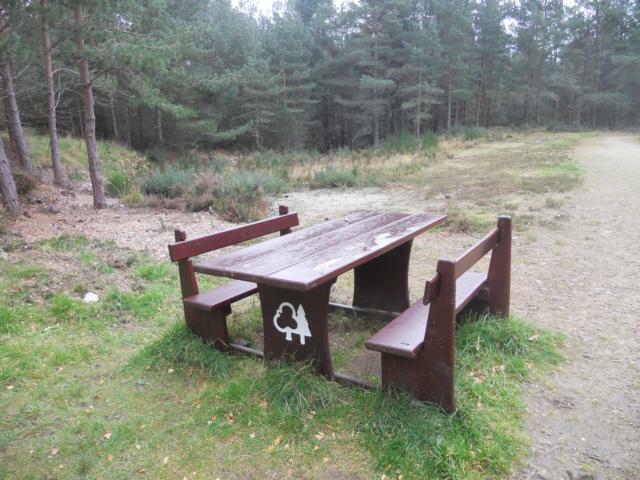 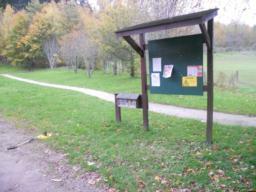 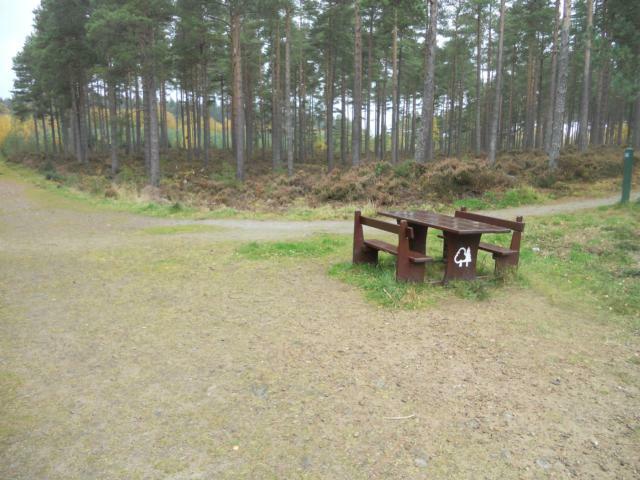 There were three picnic benches in the area surrounding the car park. 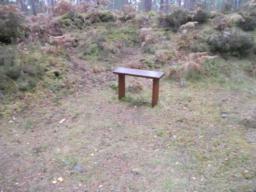 One of the benches had a path to approach it and additional hard surfacing around the base to facilitate easier access. 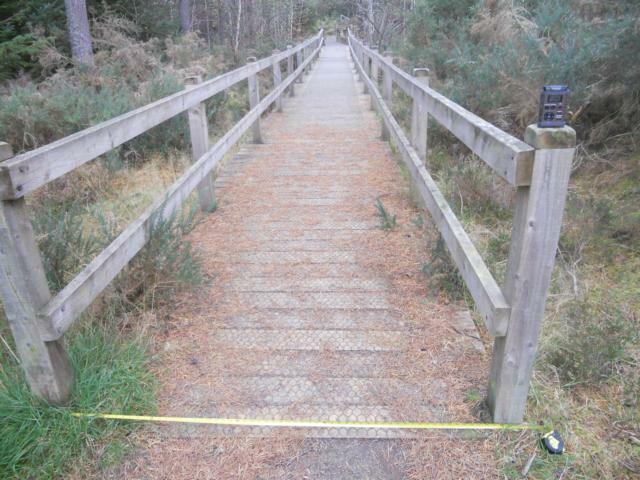 Visitors to the All-Ability trail are required to cross a public highway from the car park to the trail –head. 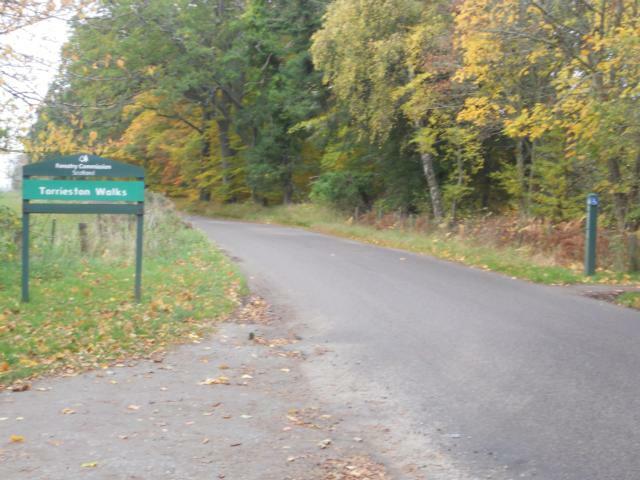 The layout of the road does not impede visibility to a significant degree, and although most visitors will be able to see a stretch of road in both directions, care is nevertheless needed. 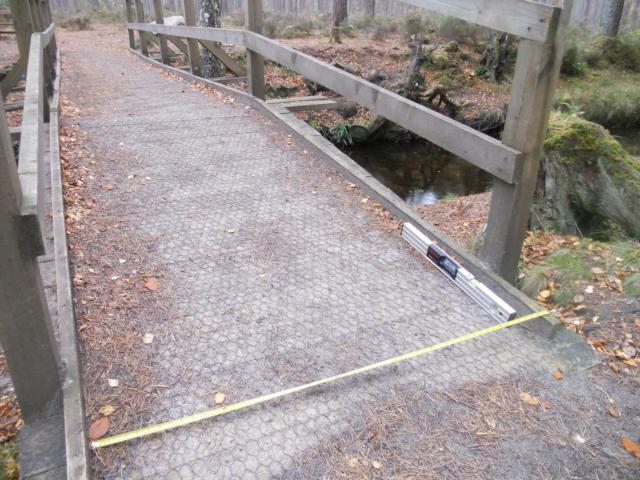 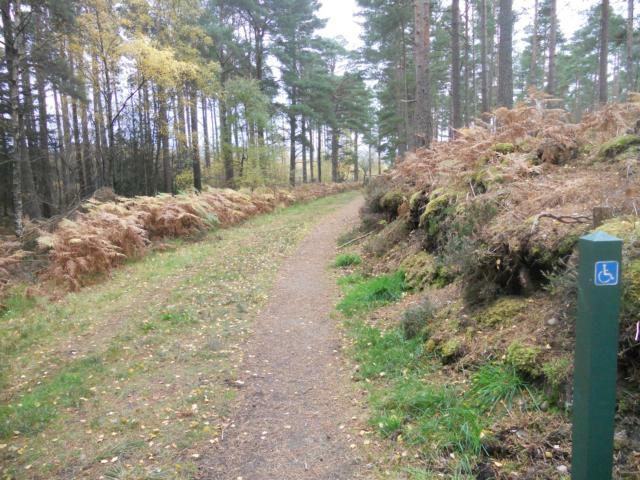 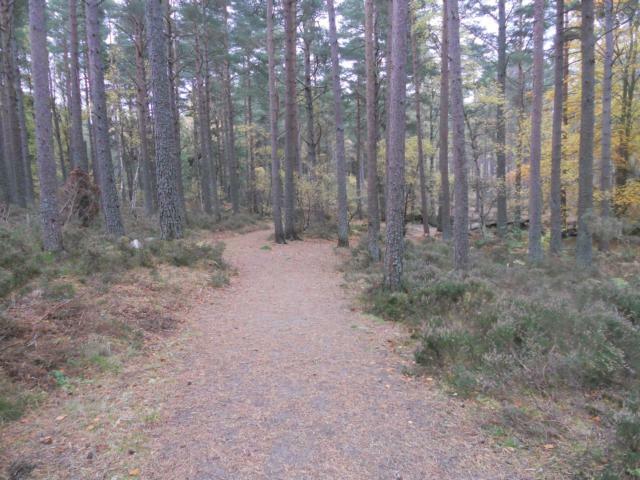 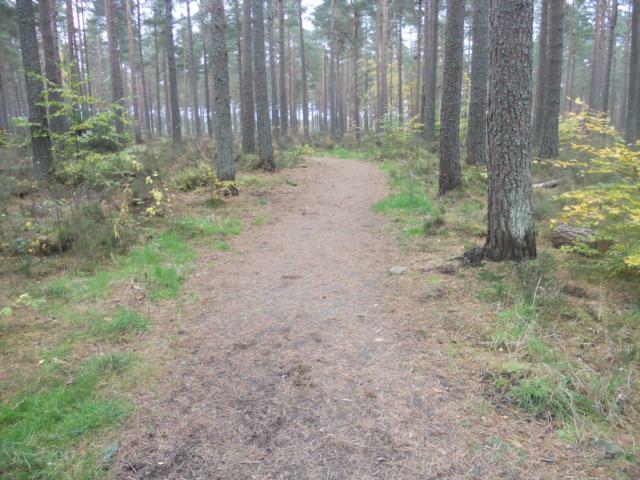 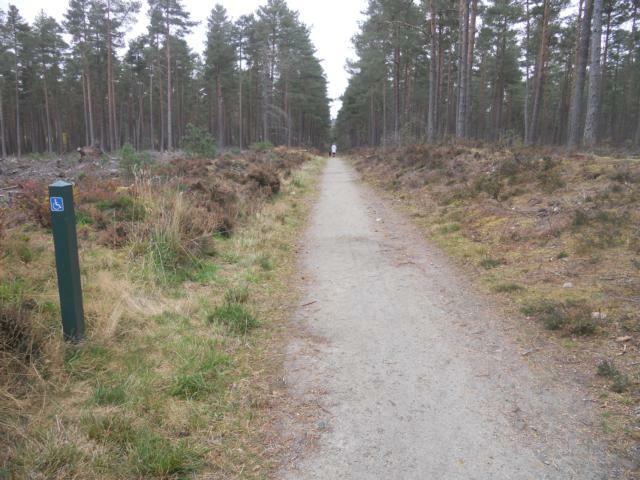 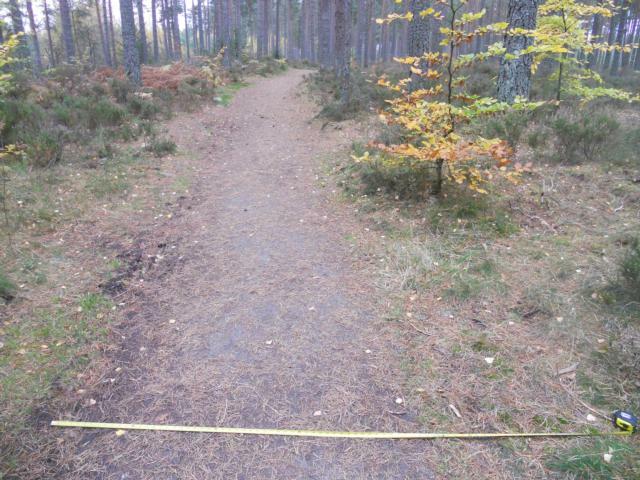 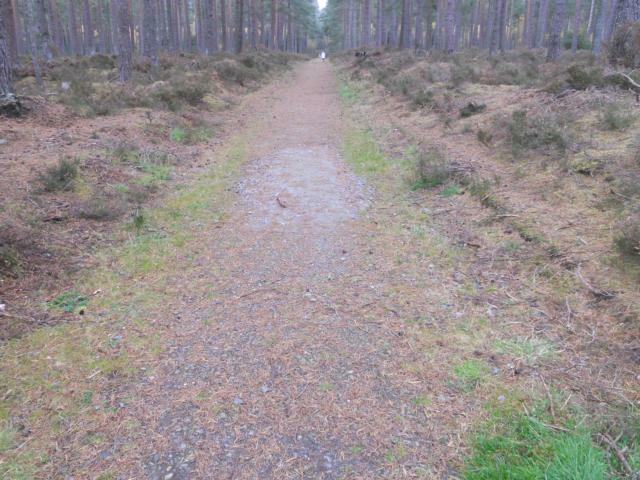 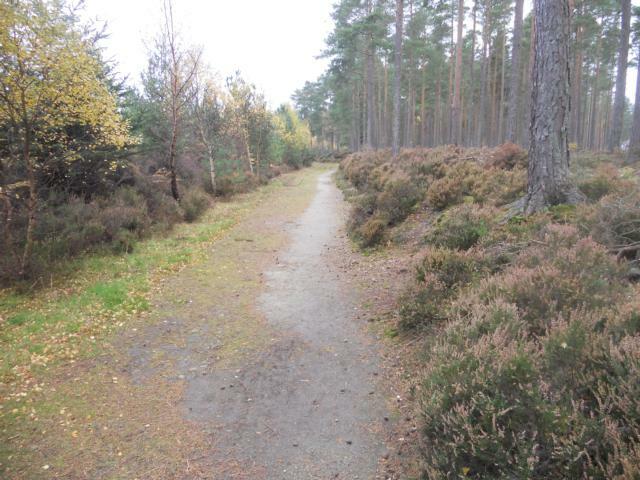 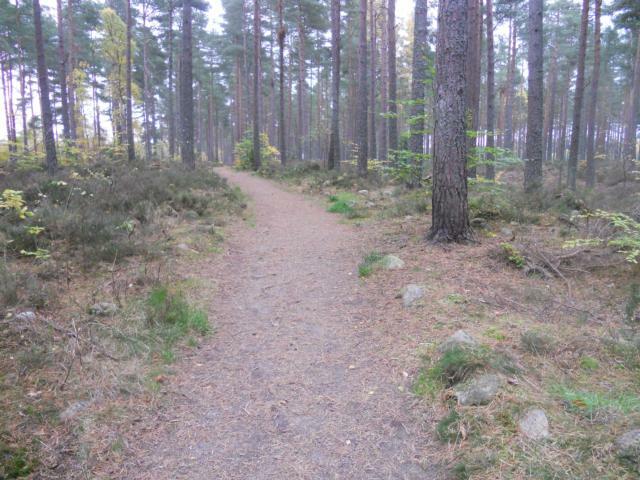 The path is well-surfaced throughout and is approximately 1.4m in width. In places wider bays have been created to allow greater access. 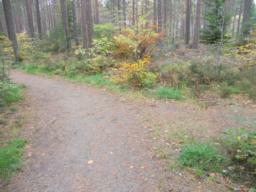 There are one or two moderate uphill gradients at the start of the trail. Wheelchair users and people with mobility problems may require light assistance. 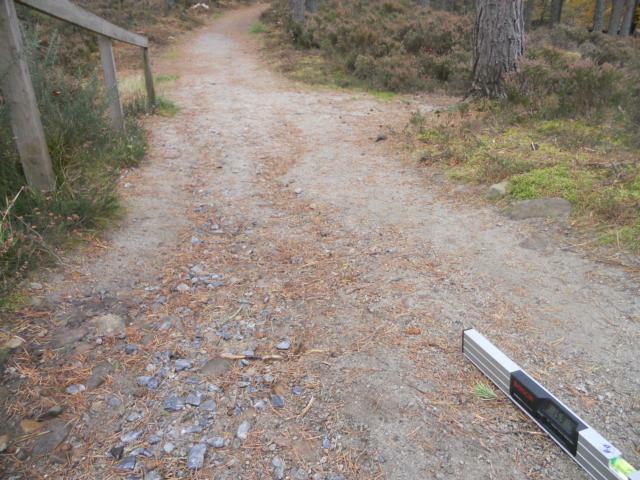 Cross drains have been created to help shed surface water from the path. A number of small perches have been placed along the trail. These are strategically placed before or after uphill sections. 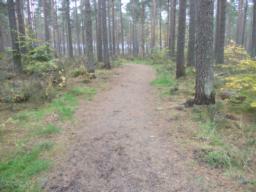 The path reaches a wider forest track. 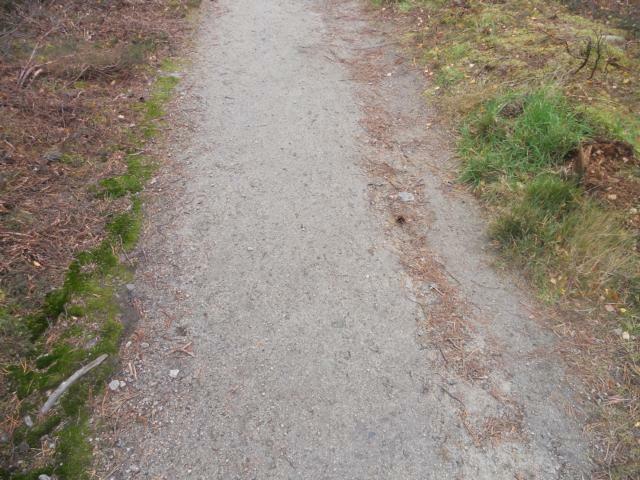 At this point, bear right. 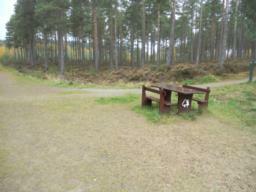 Bear left at this picnic bench. 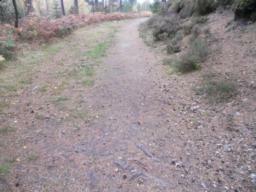 In places, weathering has had an effect on the path, although minimal. Perch points are located frequently along the trail. A short downhill section occurs here. 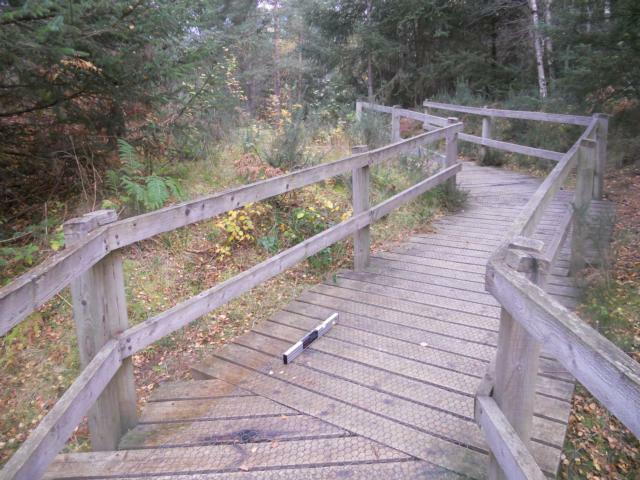 A handrail has been provided for assistance. 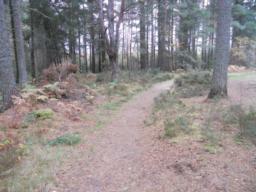 The path descends down to the Black Burn. 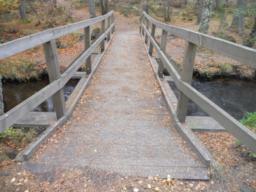 The path crosses the Black Burn bridge. 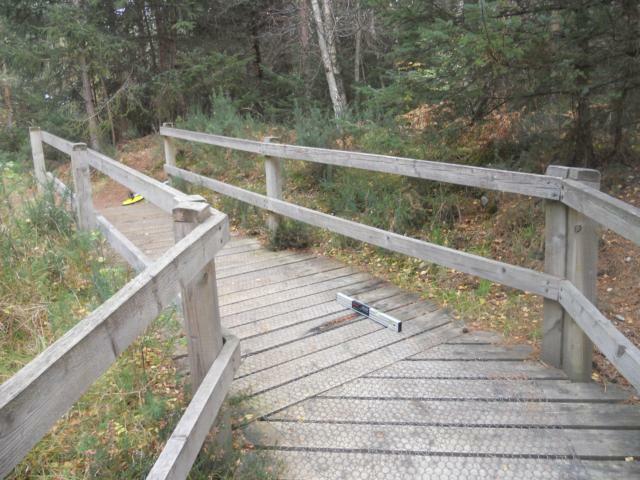 A slight lip may cause difficulty for wheelchair users. 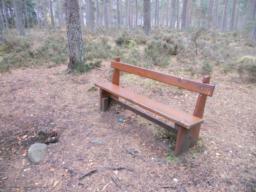 On the other side of the bridge a bench overlooks Black Burn. 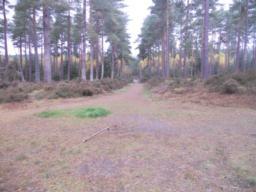 At this point, bear left for the longer circular walk. A short cut can be taken by going straight ahead. 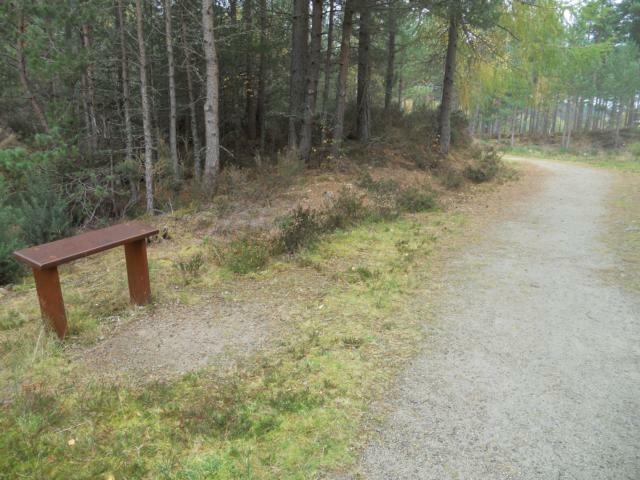 Perches are provided frequently along the trail. Grass and weeds have grown across the path, reducing the path width to less than 1m. 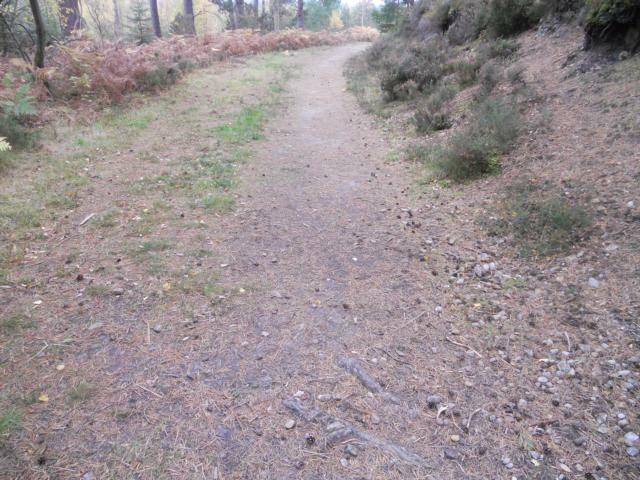 The path follows a long straight section. 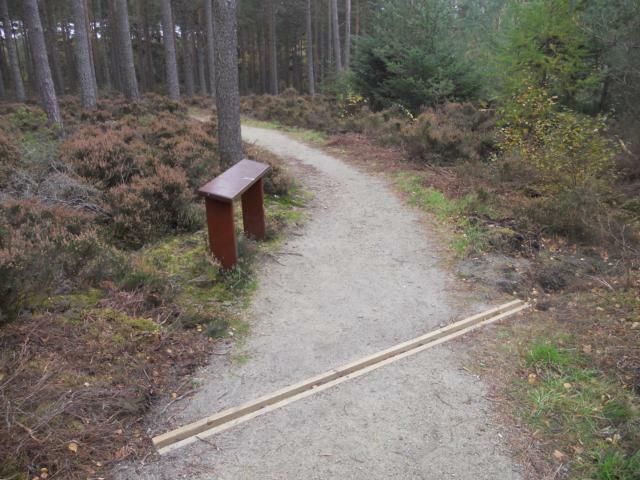 Perch points are placed regulalrly along the trail. 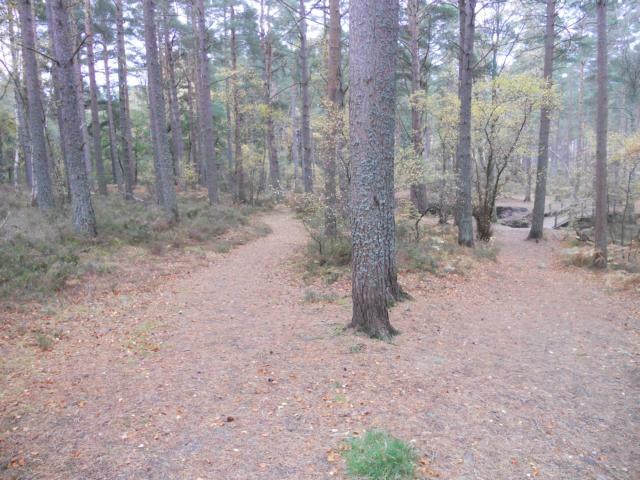 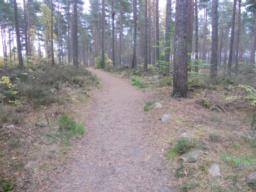 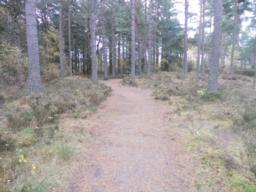 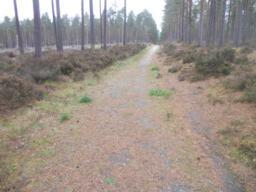 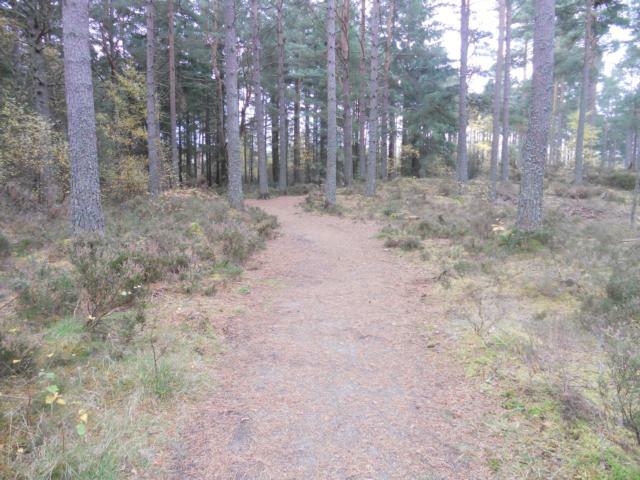 The path bears around to the right and follows a long straight section. 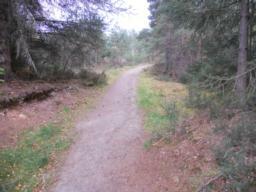 The forest track bisects the trail, continue straight on towards the bridge. The bridge contains an uphill gradient of 12%. 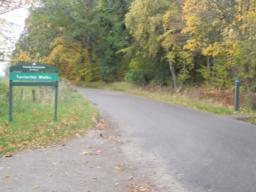 Visitors with mobility difficulties may require assistance at this point. 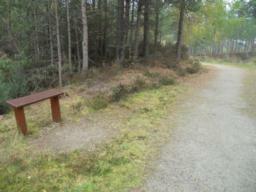 Perches are placed regularly along the trail. 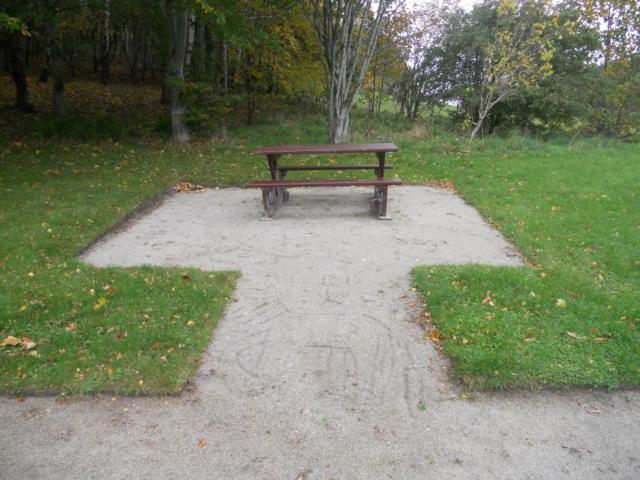 The trail returns to the picnic bench. Retrace your steps to return to the car park.